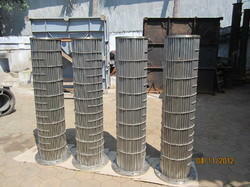 Our company is engaged in offering the supreme quality of Straight Tube Bundles. Premier exports Tube Bundles for all types of coolers suit to Compressors, DG Set, Bearings etc Our replacements meets / exceeds the original OEM quality ft specifications ft performance. Looking for Straight Tube Bundles ?